Mixing old video game sprites with real life is not one of the most difficult artforms, but if you're creative enough the results can be immensely atmospheric, just as the latest pieces from deviantART user Victor Sauron show. 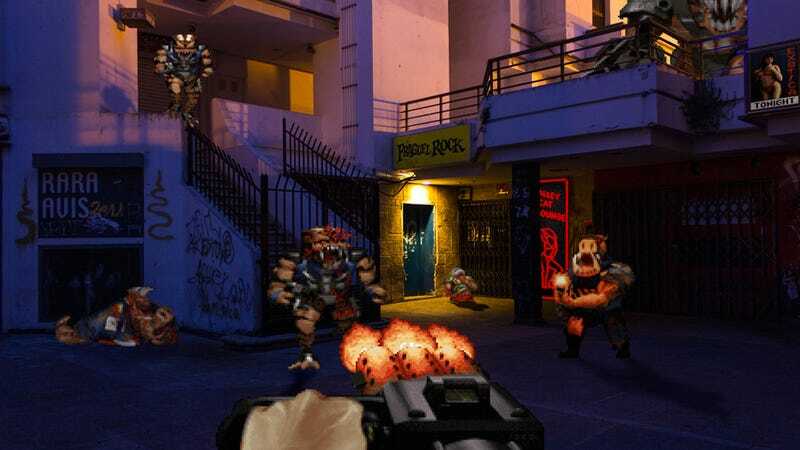 Duke Nukem in the night shot above is awesome, but check the rest below. The roller coasters starring Sonic and the rock converted into a Worms Armageddon level are also really neat.